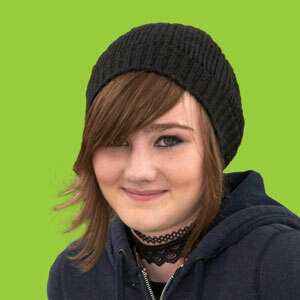 In 2011, the Government began a programme to create more diversity and inclusiveness in the school system. Recommendations were made for some Catholic primary schools to transfer patronage to alternative patrons. But since then, just a handful of Educate Together schools have opened up under the Government’s ‘divestment/reconfiguration’ process. In 2017, the Government proposed an updated ‘divestment/reconfiguration’ programme. This involves Education and Training Boards reporting on the level of demand for a new choice of school patronage within areas identified for survey. However, ETBs are also applying to run these schools. The ETBs act as patron for Community National Schools (CNS). Educate Together believes that this constitutes a clear conflict of interest which could invalidate the overall process. The decision-making power afforded to the current landowner (Catholic bishops) to determine the new patron to which a school will be transferred is at odds with the constitutional rights of parents to decide the type of school their children attend. Given that the vast majority of primary schools in the country are under the patronage and ownership of one denomination, decisions on patronage should be undertaken by an independent body to ensure a more transparent approach. Fairness: families in the above remaining 14 towns still waiting for their Educate Together schools under the previous Government scheme should get them as soon as possible. Transparency: the Government should appoint an independent advisory group made up of all patron bodies as well as parent groups. Equality: there needs to be a nationwide confidential online survey of parents, run by an impartial state agency. We would then, for the first time, know the true profile of parental demand for schools of different types and the Government could allocate school places and resources fairly. Families in these areas chose Educate Together as patron. The Department of Education formally accepted the results. It is surely of utmost importance that the outcomes of the previous process are adhered to before the Government commits to more ‘divested’ or ‘reconfigured’ schools. Is the Government keeping its promises to children? 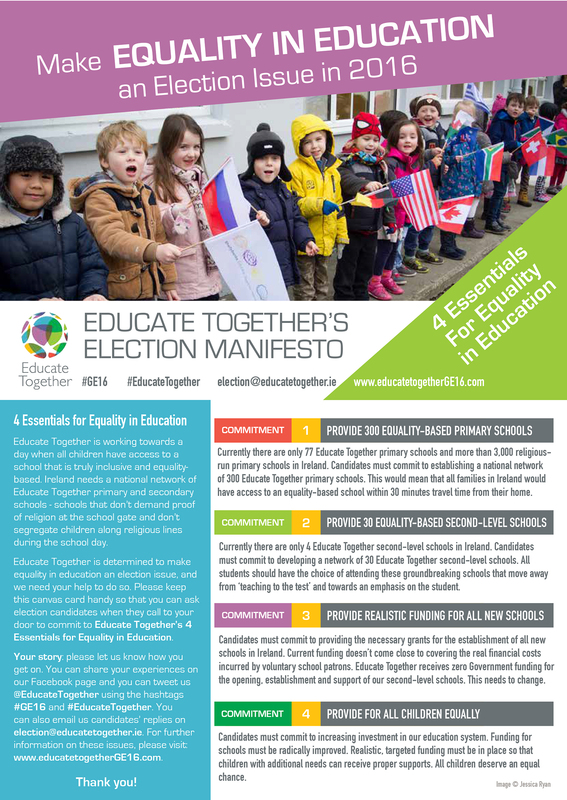 Educate Together’s colleagues in the Children’s Rights Alliance report each year on the Government’s progress on religious diversity in education in their Annual Report Card – available to view here and download below.